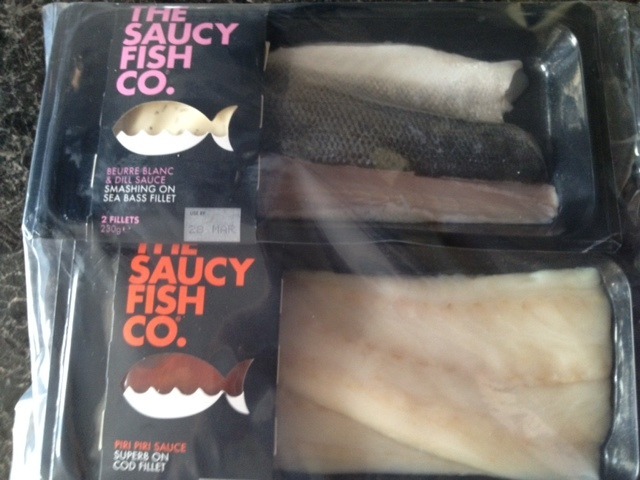 I was sent through some lovely Fish and sauce from the The Saucy Fish Co. I’ve never seen or tried these before, but it looked yummy. 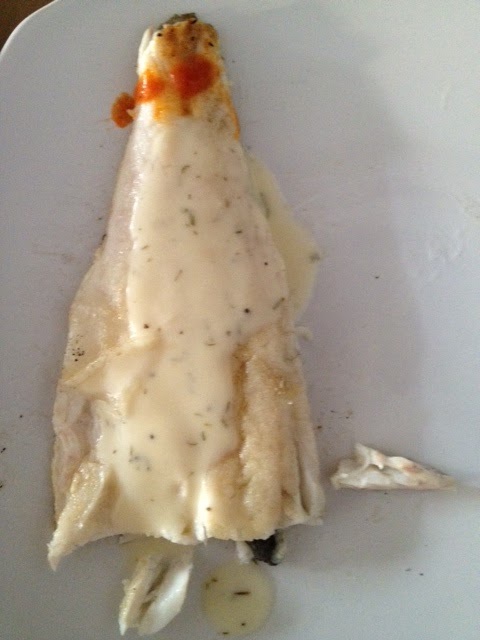 We were sent some Cod fillets with Piri Piri Sauce and some Sea Bass fillets with Beurre Blanc and Dill Sauce. I cooked both sets of fillets at the same time. One for each of us. 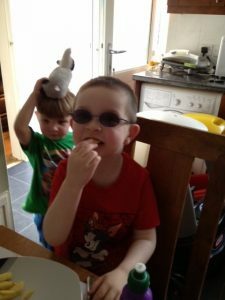 I lightly floured them with gluten free flour so hubby could eat them, then I pan fried them in the frying pan. Less than 10 minutes and they were done. 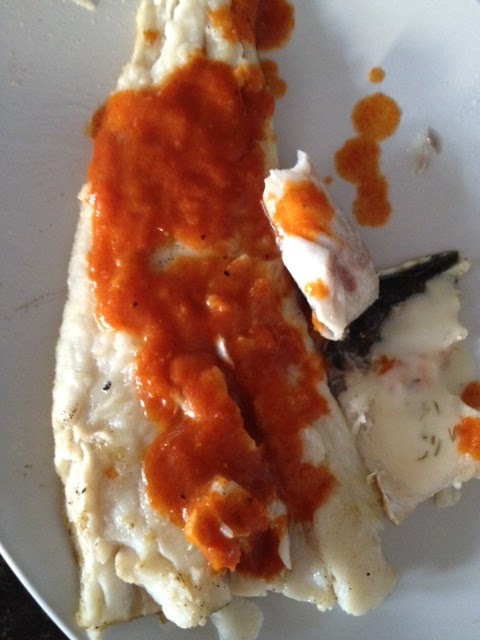 The sauce I put into a mug of boiling water for 1 minute before pouring over the fish. I served with some oven chips and some peas. The Sea Bass. The Cod. Lucas couldn’t wait to eat his that he didn’t even wait until we were seated at the table before he started. I think this fish was delicious. Extremely quick to make, had a great sauce and tasted great. 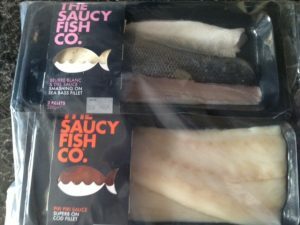 The boys loved it and so did I. I hadn’t seen these in the supermarket before but since getting these, I have seen them and have bought the smoked fish with the dill and vinaigrette sauce which was delicious. 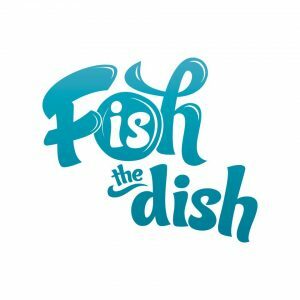 Do check out the Saucy Fish Co website for more information and the range that they do. Disclaimer:- I was sent the fish fillets to try it out.